The last week of March is hard for our family. As I stared at the pages of my planner this week, I’ve felt such a heavy weight - a brick sitting on my chest making it hard to catch my breath. I’m reminded of spring break three years ago. Corey had just left for a work happy hour. I’d dropped him off on my way to pick up dinner for myself at one of my favorite restaurants. It was a beautiful, sunshiny warm day. I was off work for the week for spring break and had no responsibilities. The days were getting longer and it was the perfect evening for a crisp glass of white wine on our patio. I was standing in my driveway, having just stepped out of my car, holding my to-go bag for dinner. I felt so at peace. Something about that time of year. Then, my phone rang. 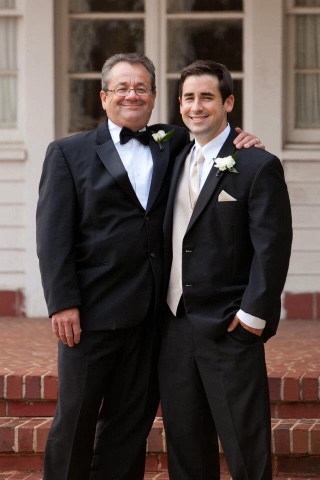 It was my husband and he’d just received the news that a cherry-sized tumor had shown up on my father-in-law’s MRI. The weather is finally warming up again today and with Easter just days away, my mind is going to all the warm weather clothes. 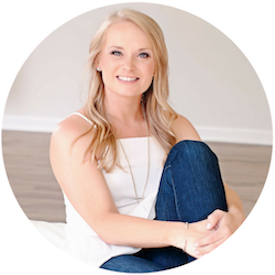 Spring weather is my favorite and I am always looking for lightweight feminine tops to look a little put together even in the brutal North Carolina heat. One of my favorite retails is having a 40% off sale right now and I have a few cute pieces on my radar. 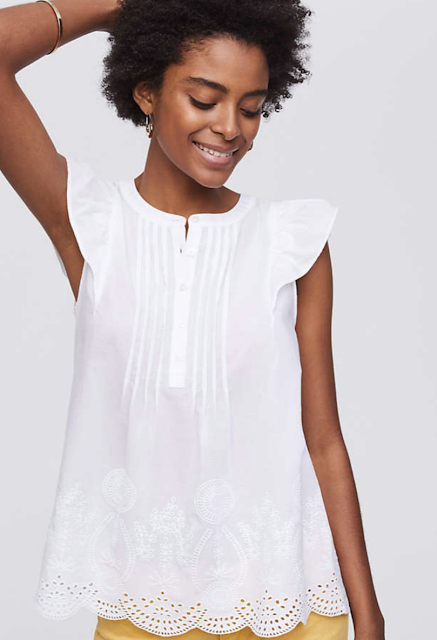 I love this eyelet top. I just love a white top in the spring and summer. You can pair it with anything - denim, white denim with statement jewelry, chambray shorts, bright, fun shorts. A white top really is so versatile and I love the eyelet detail on this one. Happy Monday! This weekend was a good bit more relaxing than last week and I am feeling ready for the week ahead. On Friday, we took Madeline out for a little Mexican dinner date. It was a nice little dinner. Madeline enjoyed her quesadilla and Corey and I enjoyed a margarita. 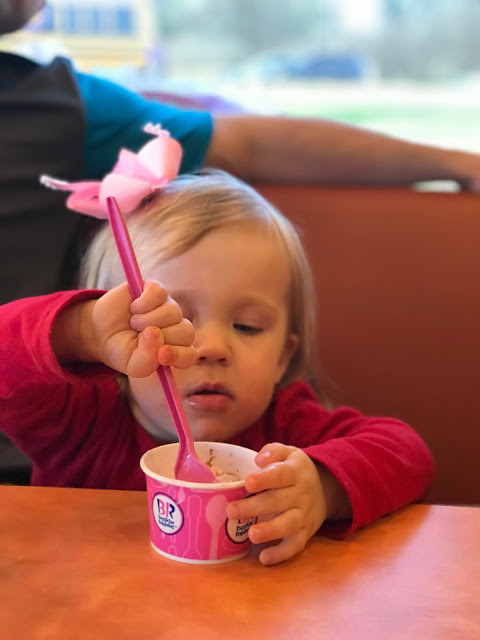 After dinner, we took Madeline to Baskin’ Robins for a cup of strawberry ice cream. She was definitely living her best life on Friday. 7 ways I stay sane when my husband travels. Corey was traveling regularly for work long before we ever got pregnant with Madeline. I had my routine down for when he was away. I’d always worked a job that ate up a ton of my time - both while I was work and when I was home, too. So, when I decided to leave my job to stay home with Madeline, I really didn’t think it would be that much of an adjustment. I know you seasoned mamas are laughing right now. I mean I knew babies were demanding but I’d been in a career for years where I couldn’t get so much as a restroom break for six hours at a time many days and where I was often away from home for work twelve hours at a time just to have to bring more home with me. How hard could taking care of just one little baby be? 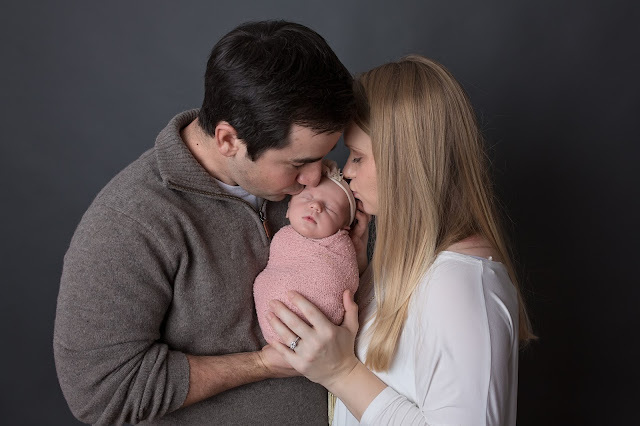 Yet, when Madeline was a two weeks old and Corey was setting out to travel for the first time since my mother in law returned to Florida, I couldn’t help feeling overwhelmed with five days of just the two of us standing in front of me. So. Much. Responsibility. Happy Monday, friends. We are having a slow morning around these parts after Madeline and I were both sick yesterday. It is 8:30 as I type this and we are both still in our pajamas, which never happens. We had a nice weekend. Corey called Thursday late afternoon saying he had gotten on an earlier flight home and would land in just enough time to eat dinner and put Madeline too bed. It was a great surprise. I had a fun post planned for you yesterday and then the morning got away from me. Madeline woke up early and was so unhappyl so by the time I got her settled, us both dressed, her off to school, and me off to my doctor’s appointment I’d lost any time to finish it up. So, stay tuned next week. Madeline’s social calendar has been so full this month. She has had play date after play date after birthday party and I’m not hating it. It has made this month fly by. 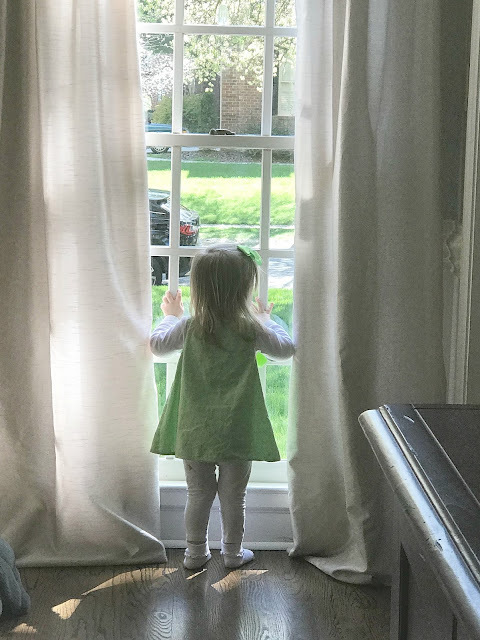 Here she is waiting on her little boy friend to yesterday. Easter is just around the corner and I have been busy getting Madeline's Easter basket ready. I ordered the monogrammed Easter basket below for her when I was in labor in the hospital. It is from Etsy and we plan to use it every year. This year, now that she is a little bit older, I am going to start the tradition of putting it out empty for her the night before Easter so that the Easter Bunny can fill it when he comes. This year I started giving Madeline's Easter basket a little more thought because I feel like it starts to set the precedent for years going forward. It feels like she just had Christmas and she did just have a birthday so I didn't want to go overboard and I really don't like her to have candy or sweets. Back at Christmas, I shared mine and Corey's decision about how we will handle Santa gifts in our home and I was recently reading an article about raising grateful children in today's society. One of the things it recommended when gifting was to gift your child something they want, something they need, something to wear, and something to read and then leave it at that. 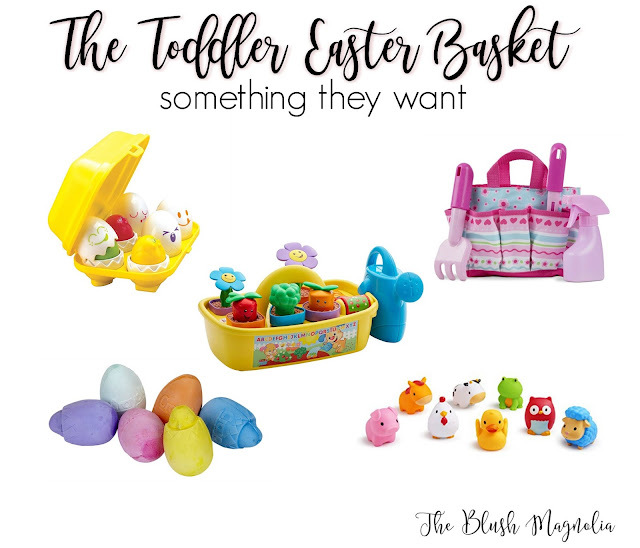 I loved that recommendation and divided up my ideas for Easter basket goodies into those categories. I really enjoy creating new healthy recipes for our family and I've had my mind on making greek chicken bowls for quite a while. There is a great restaurant in Charlotte where you can walk in and build your own mediterranean bowl or salad. 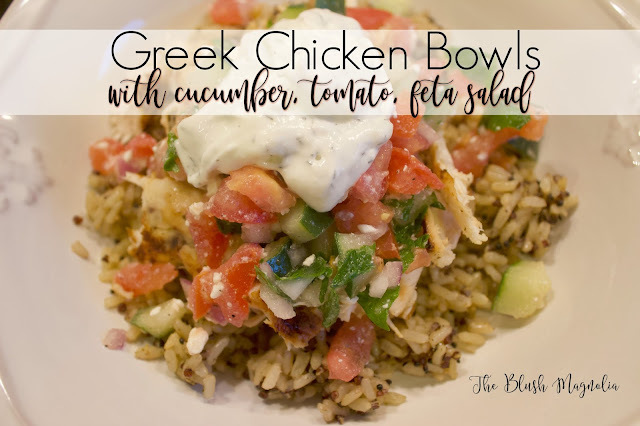 Think Chipotle meets fresh, greek deliciousness. I sneak over whenever I can to pick up lunch while Madeline is in preschool but wanted to try my hand at making our own healthy bowls. Last month Corey had two weeks off in between his last day at his old job and his first day at his new firm. It was so nice to have him home with us and the time coincided perfectly with the week of Madeline’s birthday. The day after the party Corey and I headed to Asheville for a little one-on-one baby free time. We are so lucky to be able to get away for a few days every couple months with just the two of us, with the last time being to Charleston for my birthday in November. 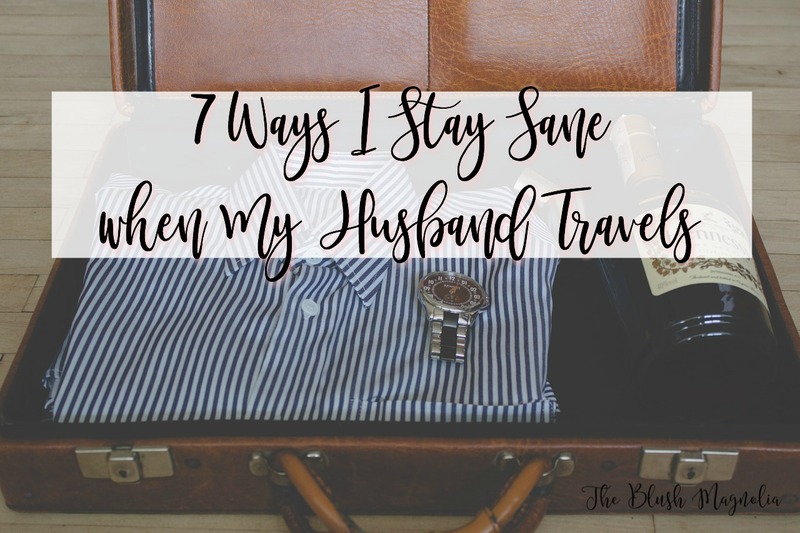 I really feel like this might be one of the absolute most important things we are able to do for our marriage, especially since he travels for work without me and we consequently spend a lot of time apart and it is certainly not lost on me how fortunate we are that both of our parents are able to take turns staying with Madeline. Happy Monday, friends! 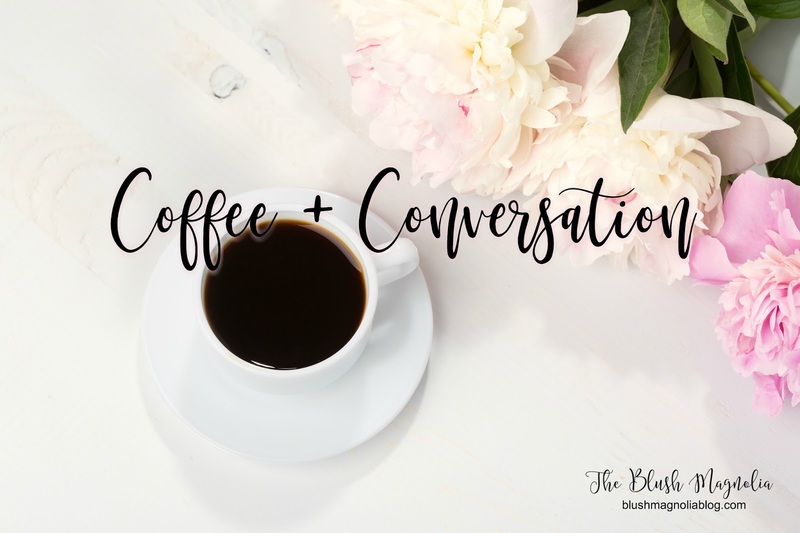 I decided at the last minute today to link up with The Blended Blog for her her Q+A series. 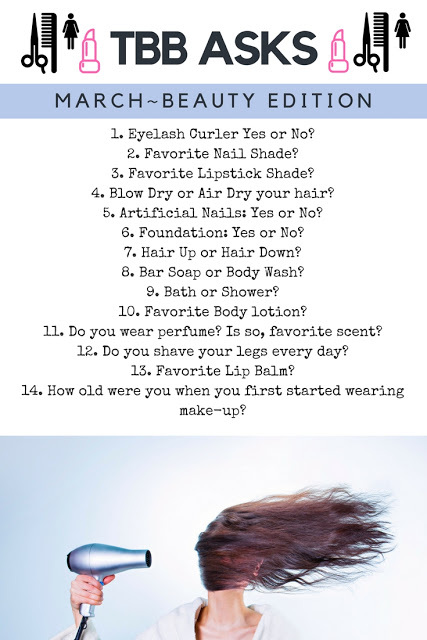 This month to focus is on all things beauty, which seemed fun since boy oh boy has my beauty and self-care regimen changed in the last year! 1. Eyelash Curler Yes or No? Yes! Every single day! I use a lash serum and my lashes have gotten pretty long. Combined with a curler and a good, volumizing mascara my lashes have become one of my favorite features. This is the curler I use and I actually just purchased a brand new one last week in the gold and pink color. 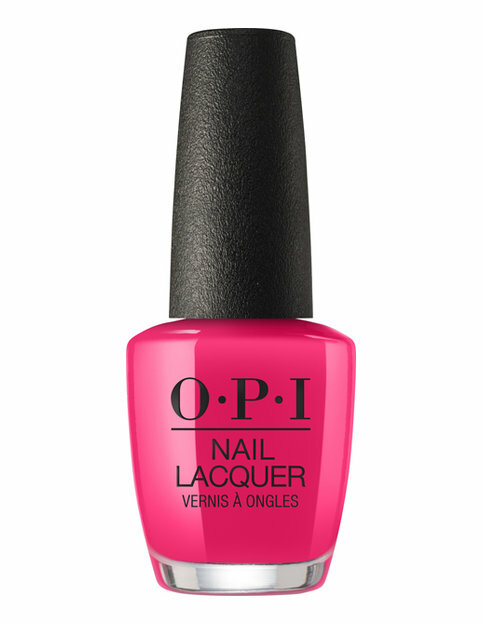 Well, spring is right around the corner and I have my eye on a few fun items for when the weather warms up. My warm weather closet still needs such an overhaul. I added a few fun pieces last year but the two seasons before I really did zero shopping with being pregnant and then nursing. 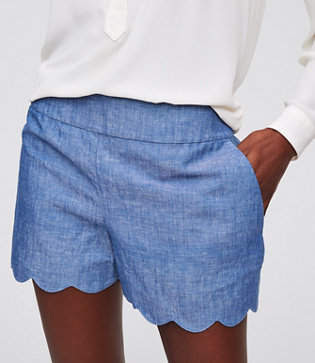 I am obsessed with these chambray scalloped shorts. Aren't they SO fun? I love an easy to wear pair of denim shorts and the scallop just adds a little something extra and feminine.